Snap-together reissue of the original 1970s Aurora kit. Features a moveable head and arms. Don't mess with this Creature… he prefers to be painted! Beware! 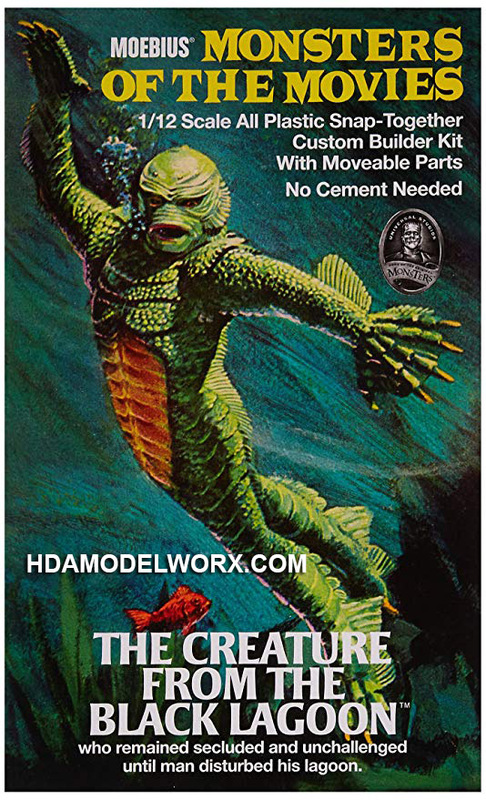 It's the Creature from the Black Lagoon! 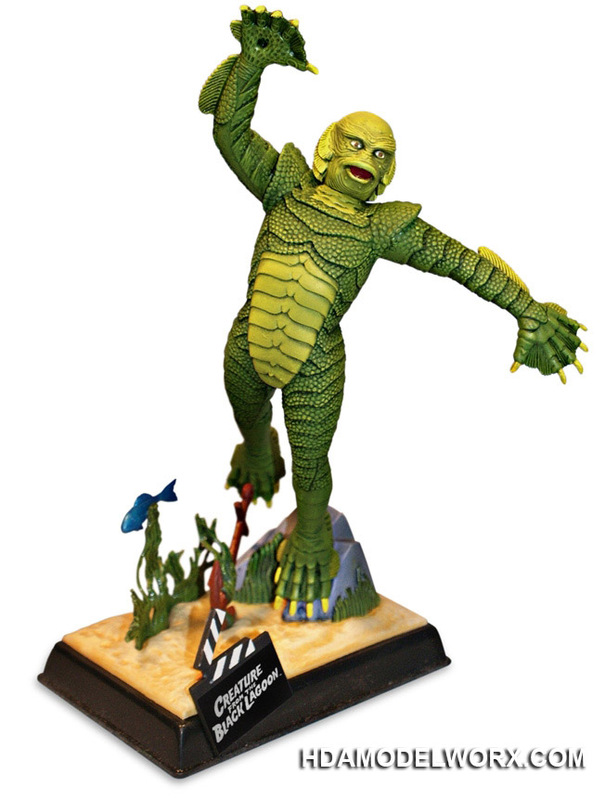 Brought back to life from the original 1970s Aurora model kit, this 1:12 scale Monsters of the Movies Creature from the Black Lagoon Model Kit is a snap-together kit that's considered to be one of the best sculpts that Bill Lemon produced. It includes a moveable head and arms, and no glue is needed for assembly. But don't mess with this Creature… he prefers to be painted!